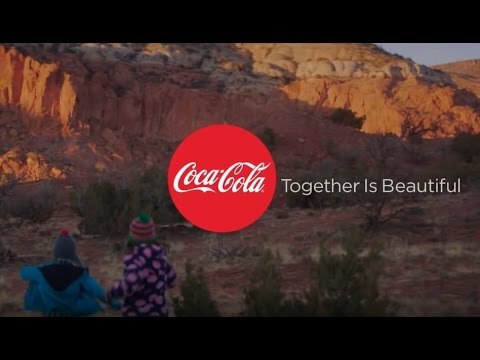 Feb 5th 2013 – Skunk director John Hillcoat responds to comments following the release of his Super Bowl spot, “It’s Beautiful” for client Coca-Cola through W+K, Portland. “I didn’t expect such a huge response,” explains the renowned film director, screenwriter and music video director on his controversial Super Bowl commercial. The absorbing spot, aptly entitled “It’s Beautiful,” has sparked outrage across America and quickly permeated the pop culture ether with an array of coverage in Time Magazine, The New Yorker, Vanity Fair – even a segment on The Colbert Report amusingly mocking people’s response to the commercial. Produced by Skunk with concept from W+K, Portland, the work features beautifully carved images of a multi-cultural America with “America, The Beautiful” playing alongside, voiced in an array of different languages. A nine-day shoot took place in New York, New Mexico, Colorado and Los Angeles to uncover genuine, intimate moments that accentuated the creative idea. The fact that the song, “America, the Beautiful” was written in 1893 by Katherine Lee Bates – a lesbian from Massachusetts – was also not lost on Hillcoat. He notes his insistence to include a gay couple in the work, a concept in the original script that could have been overlooked, was important iconography to embrace. An upcoming, longer :90 second version of the spot is also planned for release during The Sochi 2014 Winter Olympics.